The Seasteading InstituteAn illustration provided by the Seasteading Institute shows the organisation’s vision for a ‘floating city’ off the coast of French Polynesia. “The difference would be, I would probably start my day going kite-surfing,” Hencken says over the phone, adding that he would eat a lot more fish and breadfruit. Those kite-surfing dreams could one day come true. The Seasteading Institute tells Business Insider it has found a partner, French Polynesia, to help build a floating city in the South Pacific. A formal agreement, which is likely to be passed according to Hencken, now awaits the signature of President Édouard Fritch. 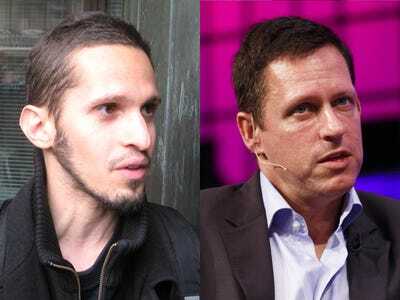 Wikimedia Commons; Tristan Fewings/GettyL-R: Patri Friedman and Peter Thiel, cofounders of the Seasteading Institute. If things go as planned, the group may break ground on a seastead off the coast of the French-owned island chain as early as 2017. The new city could consist of two or three platforms that each cover half a football field and house 30 people. Should the pilot program prove successful, more platforms will be added. 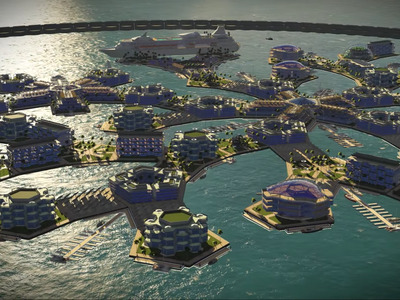 The Seasteading Institute, cofounded by billionaire venture capitalist Peter Thiel and Google software engineer Patri Friedman (grandson of economist Milton Friedman) sent waves through Silicon Valley when it was created in 2008. 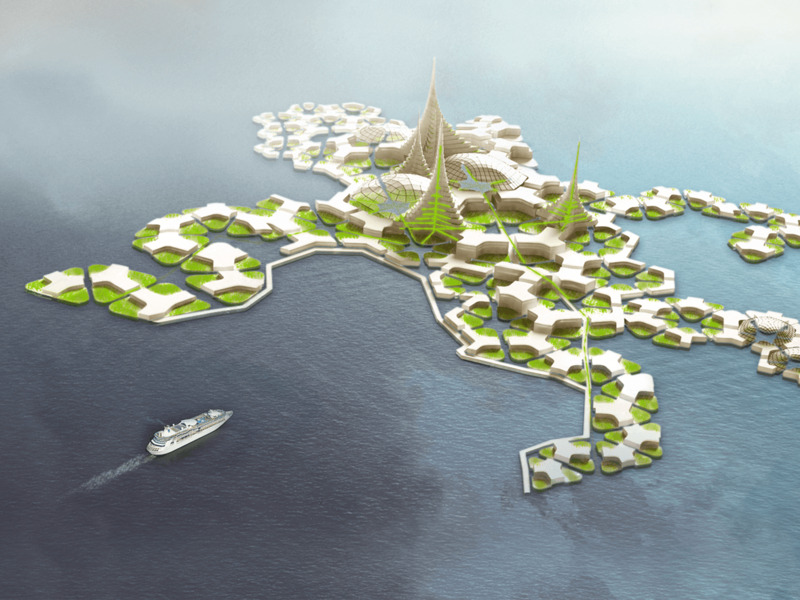 The group set out to develop a floating city that would serve as a permanent, politically autonomous settlement. Thiel, who has invested some $1.7 million in the project to date, envisioned a sort of libertarian utopia. The Seasteading InstituteMembers of the Seasteading Institute meet with French Polynesian officials on a recent exploratory mission. Hencken envisions the floating city as a rig that’s small but self-sufficient. Residents shop for food on the seastead and hop on a speedboat to complete more substantial errands on the neighbouring French Polynesian islands. Each housing platform will be modular, so if a person grows tired of life on the seastead, they can simple unhook their home and sail away. Business Insider could not verify how close the Seasteading Institute has come to its fundraising goal. The organisation raised over $27,000 via a crowdfunding campaign in 2013, but Hencken says it was used to fund a project implementation report from Norwegian design firm DeltaSync. The Seasteading Institute and DeltaSyncThe Seasteading Institute has produced very different images of its dream ‘floating city’ over the years. Eventually, the group determined the costs were too extravagant. 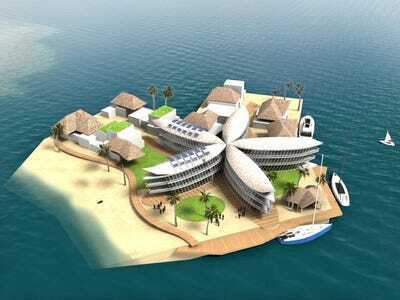 The United Nations grants every state economic and environmental control from its shoreline to 200 nautical miles out, which means the Seasteading Institute would have to build at least that distance away. That kind of isolation raises the cost of operations and transportation to get people on and off the seastead. The institute crunched the numbers and thought it would take $12 billion to build, which is already four times Thiel’s net worth. So the group looked to team up with a host nation. 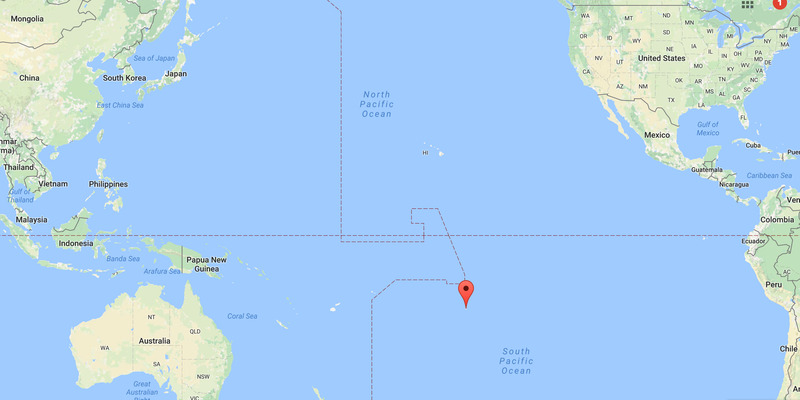 Google Maps screenshotFrench Polynesia is barely visible on a world map. French Polynesia fit the bill. 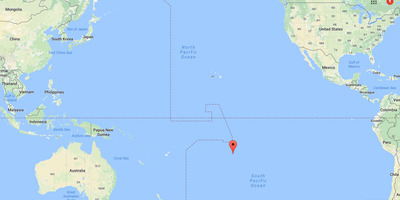 The island chain is an eight-hour flight from Los Angeles, and it has a fibre cable that runs underwater to Hawaii, providing the same tier of bandwidth that techie islanders might expect. Plus, rising sea levels threaten French Polynesia’s very existence — making a proposal to build new land appealing to the government. 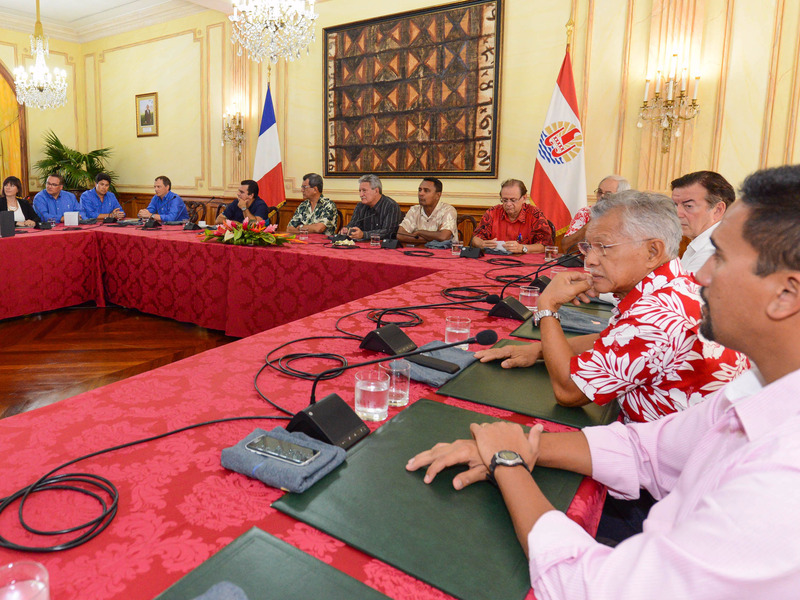 While French Polynesia will not impose laws or taxation on their floating neighbours, the islands will provide space and resources for construction. (Hencken insists the Seasteading Institute will not accept any subsidies). This new approach to seasteading potentially allows the Institute to reduce costs and stay connected without sacrificing independence. Still, the challenges are almost too many to count. Hencken rattles off a few, from developing a foundation that can withstand seawater for 100 years to establishing a special economic zone, where business and trade laws on the seastead differ from those in French Polynesia. YouTube/seasteadingAn artist’s rendering shows another seastead concept from the Seasteading Institute. Hearing Hencken describe the logistical and architectural feats required to build the floating city, which he hopes to complete by 2020, it starts to sound easier just to buy a plot of vacant land. “All the land is claimed,” Hencken says. He believes “The ocean is our last place on Earth,” where the seafaring pioneers will be free from the rules and economies of established governments. But that doesn’t mean the seasteaders will be isolated. When Hencken, who previously ran communications for an office supplies company and is a drug policy reform activist, pictures his future life on the island, he imagines buying a speedboat so he can take a yoga class or buy his wife an expensive dinner in nearby French Polynesia.